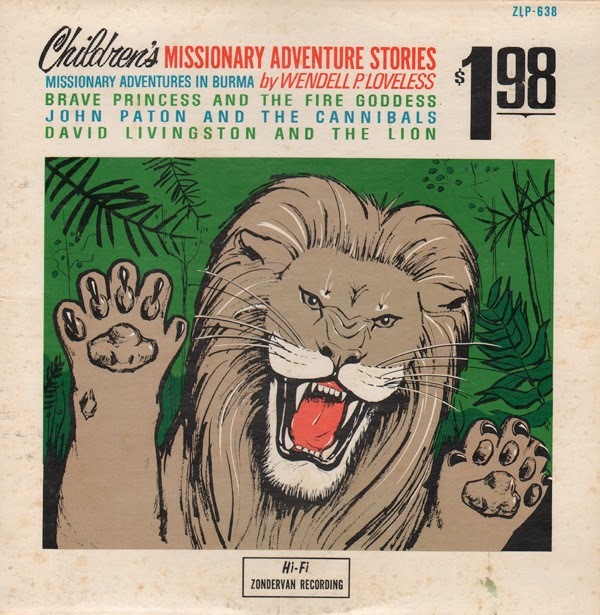 Nice cover that nicely sets the tone for the music. Also check out the Calvert 10 inch, "I Love" on Essex. From the back cover: The Man With The Golden Trumpet, England's Eddie Calvert, needs little introduction to U.S.A. and Canada listeners. Calvert has conceived a powerful, emotion-packed album with "Lonely Night." 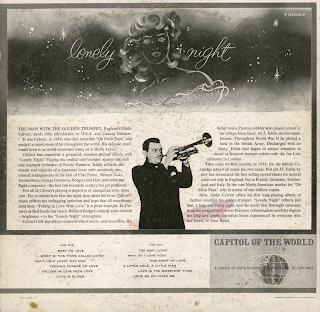 Playing his soulful solo trumpet against the rich and resonant orchestra of Norris Paramor, Eddie achieves the moods and vagaries of a lonesome lover with sensitively performed arrangements of the best of Cole Porter, Vernon Duke, Jerome Kern, George Gershwin, Rodgers and Hart, and other topflight composers – all best this twentieth century has yet produced. Not all of Calvert's playing is depictive of unrequited love, moreover. For no matter how blue the night, how alone the lover, Calvert's music reflects the unflagging optimism and hope that all sweethearts hold dear. "Falling In Love With Love" is a prize example. 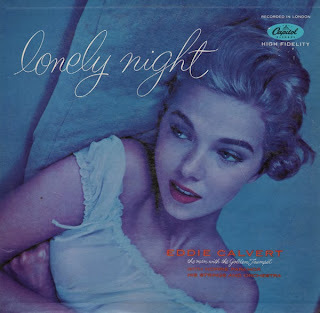 In Calvert's skilled hands this classic Richard Rodgers melody adds warmth – brightness – to the "Lonely Night" atmosphere. Calvert's life has always centered around music, and musicians. His father was a Preston cobbler who played cornet in the village brass band. At 5, Eddie started music lessons. Throughout World War II he piloted a tank in the British Army. Discharged with an injury, Eddie first began to attract attention in music as featured trumpet soloist with the Joe Loss orchestra in London. Then came his first records, in 1951, for the British Columbia label all under his own name. Not yet 35, Eddie by now has dominated the best selling record charts for several years not only in England, but in France, Germany, Switzerland and Italy. In the vast North American market his "Oh Main Papa" sold in excess of one million copies. 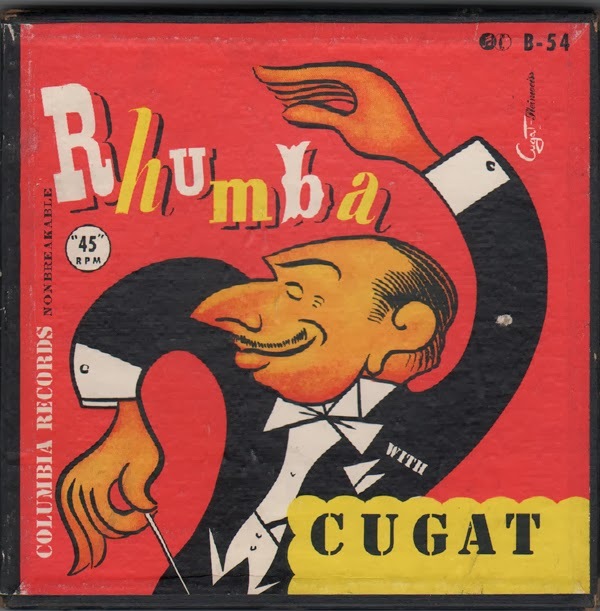 Now, Eddie Calvert offers his first long-playing album to further establish his golden trumpet. 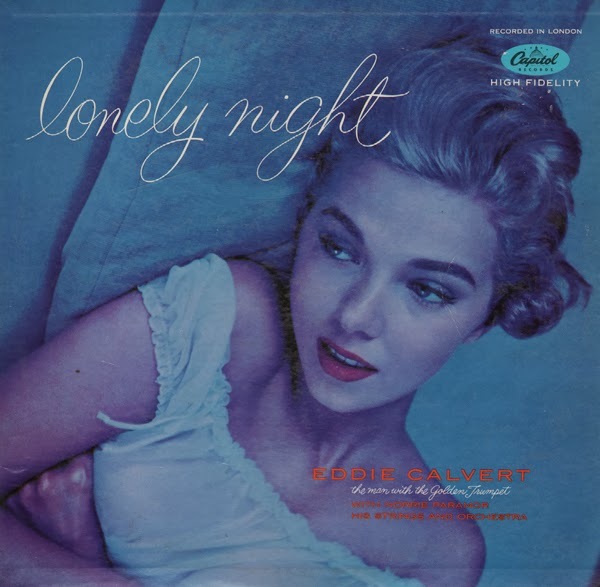 "Lonely Night" reflects just that, a lonely night, and the music that flowingly emanates from the compatible Calvert-Paramor collaboration carefully depicts the long and lonely nocturnal hours experienced by everyone who has loved, or been loved. 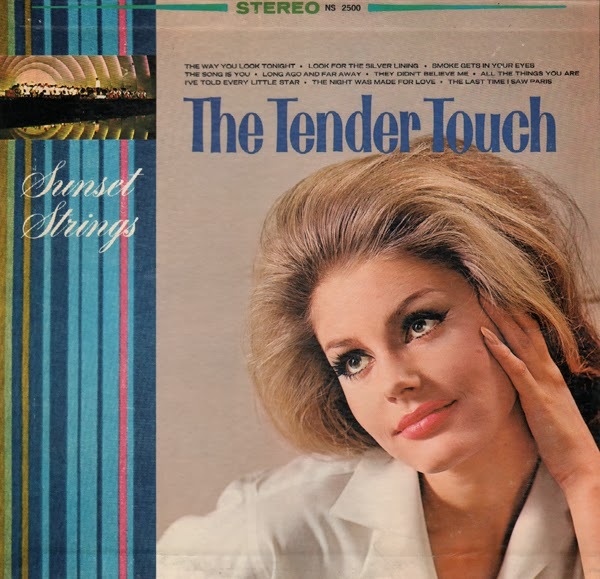 One of a series of Sunset Strings albums produced by Synthetic Plastics. No musical surprises, but the covers feature fun period portraits. This is 3 record 45 EP set (although the side numbers suggests 4) featuring early Cugat instrumentals and vocal tracks.